‘The Curse of Oak Island’ Season 6 Episode 10 Air Date, Spoilers: Did Vikings Set Foot in the Island? “The Curse of Oak Island” season 6 episode 10 will open up an entirely new possible direction for the show. The official teaser for next week’s episode hints at an important discovery that would link the island to the earlier presence of Vikings. 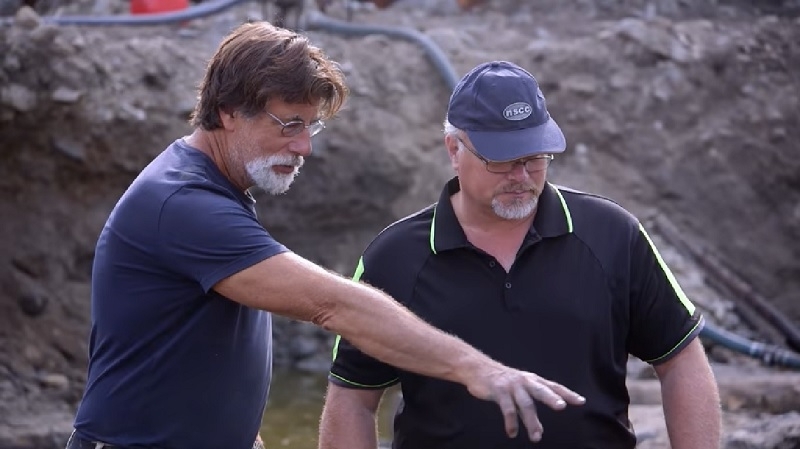 Marty Lagina, Rick Lagina, and their team are finding “a carved stone” in “The Curse of Oak Island” season 6 episode 10. This particular artifact may prove that the Vikings has set foot in the Oak Island. The presence of Vikings settlements in North America has been a long-running subject of archeological research. This means that the discovery of this relic in “The Curse of Oak Island” season 6 episode 10 could mean something bigger than what the Lagina brothers ever expected. Vikings, the Old Norse-speaking voyagers, are famously known for their expeditions within Europe. There have been studies that the Vikings expanded their explorations and eventually reached the coasts of North America where they built settlements. In fact, even before “The Curse of Oak Island” season 6 episode 10, the renowned expert on Norse archaeology Birgitta Wallace reportedly found evidence that a second Vikings settlement is located in New Brunswick — the first being the L’Anse aux Meadows in Newfoundland. Suggesting that the carved stone in “The Curse of Oak Island” season 6 episode 10 could confirm the Vikings arrived and lived in Nova Scotia still seems far-fetched at this point. However, it is also important to note that Nova Scotia has always been considered as one of the possible Viking settlement locations in North America. "That just doesn't seem natural." The hunt continues next Tuesday on HISTORY at 9/8c, followed by the new hit series, Project Blue Book at 10/9c. Meanwhile, “The Curse of Oak Island” season 6 episode 10 will feature more interesting finds. The synopsis hints that the team finds an anomaly in Smith's Cove that might lead them to the Oak Island box drains. But the episode title “Fingers Made of Stone” suggests that the Viking-related artifact will be at the center of the episode airing on Tuesday, Jan. 22, at 9 p.m. ET on History.